MONTHLY photos contributed by our members for August - 2017. 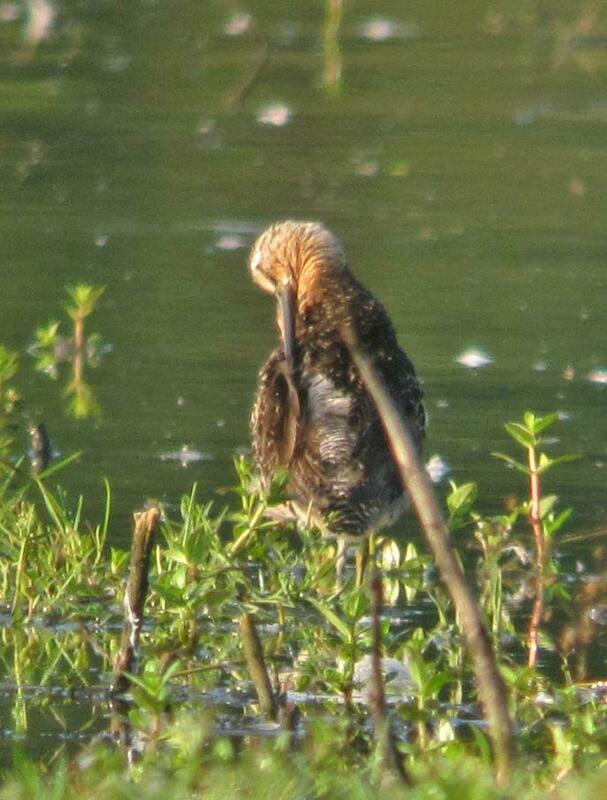 Female Ruff from Somerset, Niagara County NY. 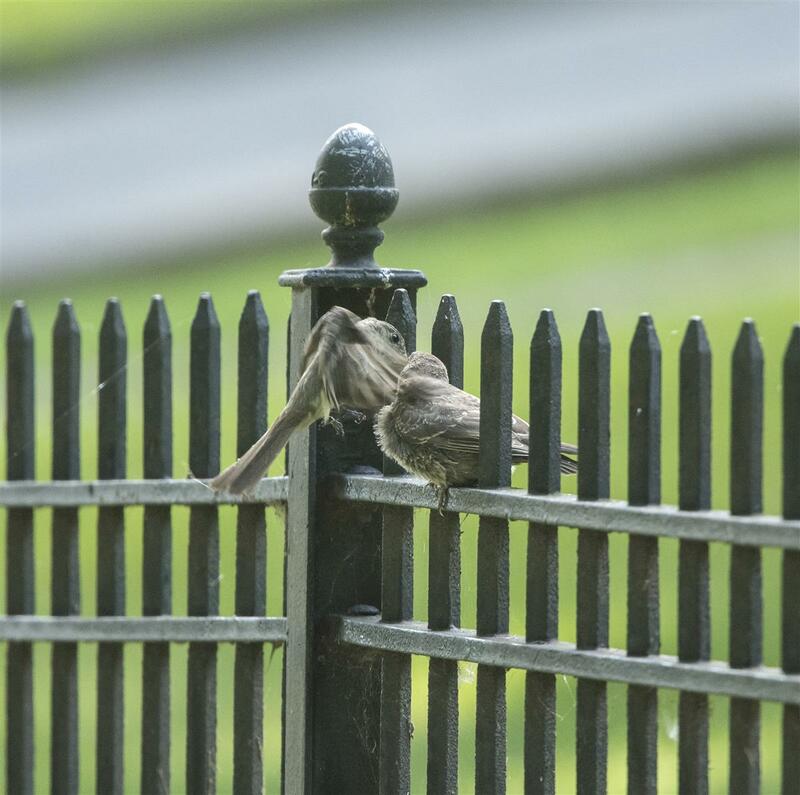 The bird was found Thursday morning and continues through today (Aug 5). Photo by Joel Strong. 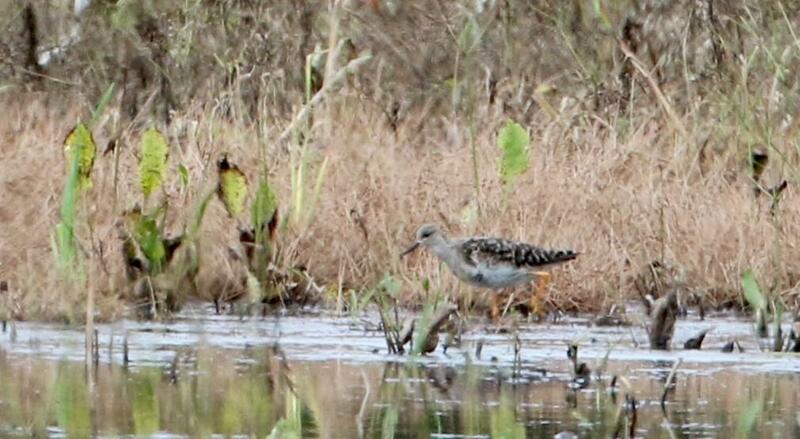 Female Ruff in Somerset NY. This bird was found on the morning of August 3 and has stayed for several days. 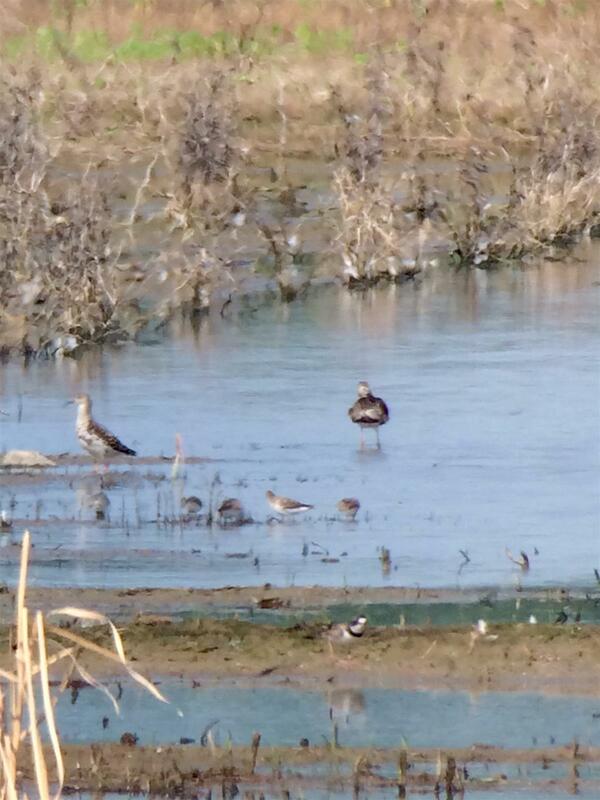 It's the alert bird on the left - notice dark splotches on breast, orange legs, buff 'plain-faced' look. 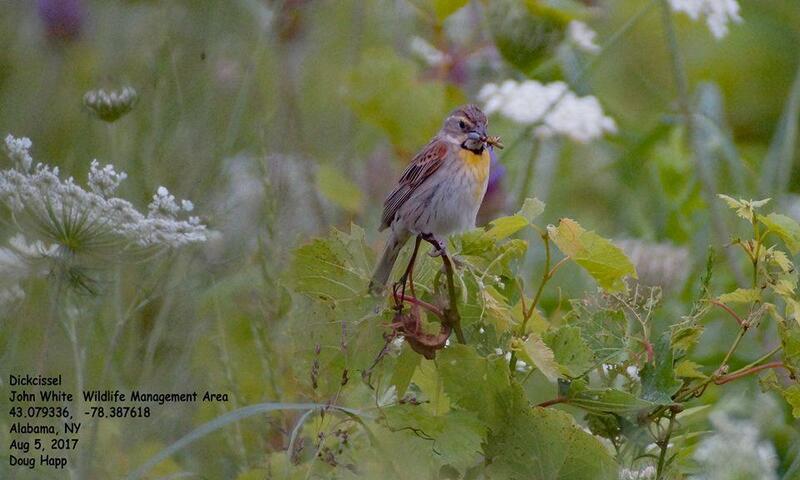 Male Dickcissel photographed by Doug Happ at John White WMA, Alabama NY. 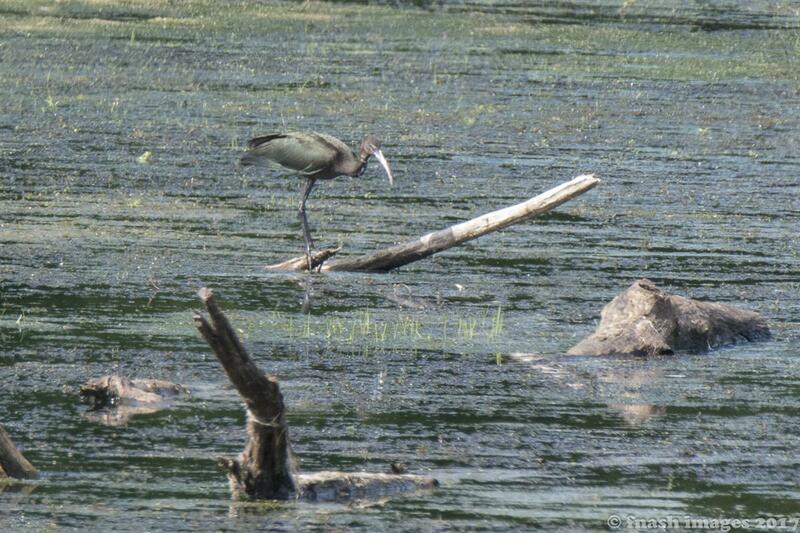 This bird was seen carrying food and dropping into the field to presumably feed young. 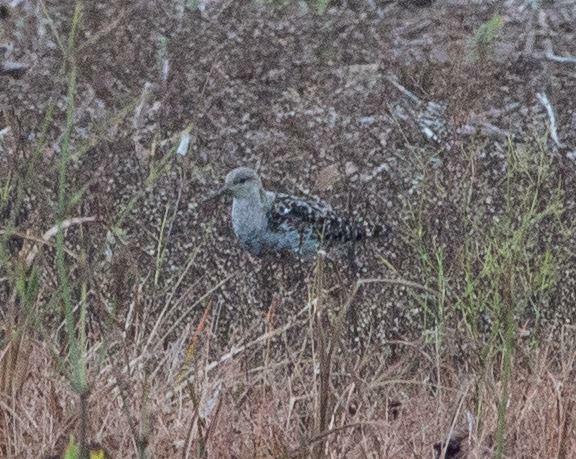 Female Ruff photographed on August 5 by Jay McGowan in Somerset NY. 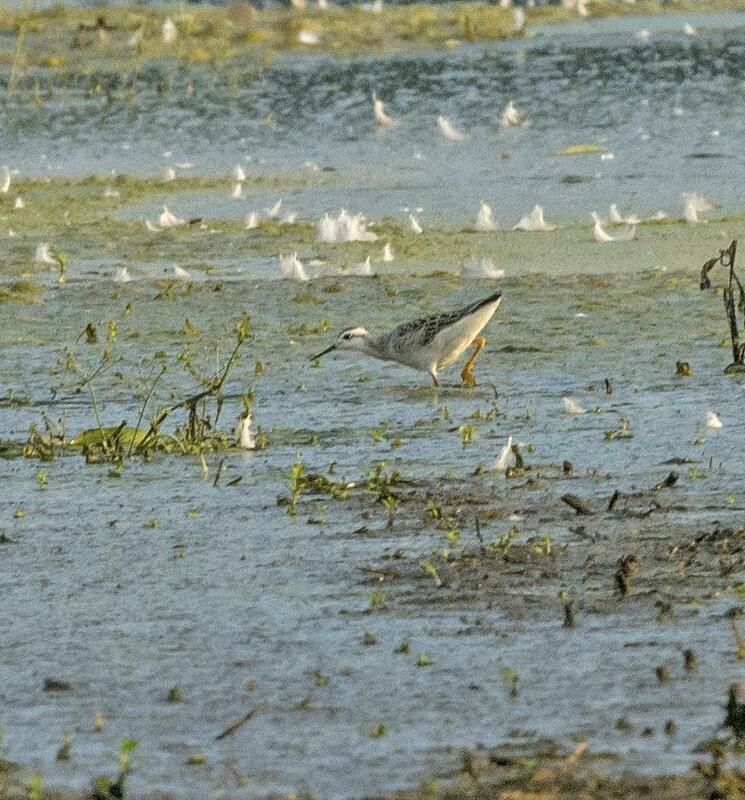 Lesser Yellowlegs on the right of the Ruff. 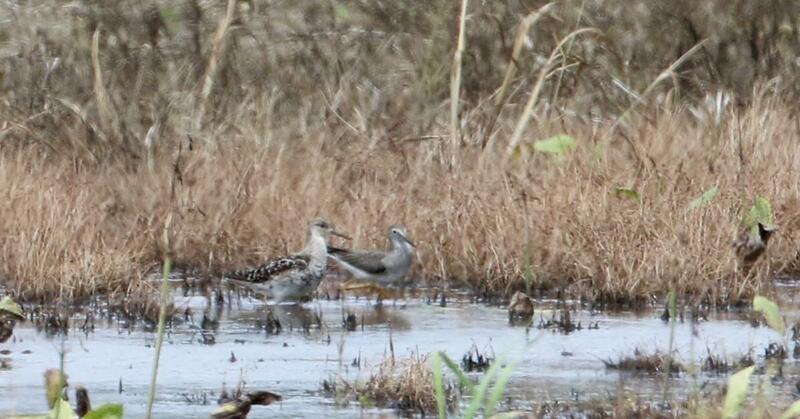 The Somerset NY female Ruff continued into its third day in a flooded farm field. This image taken by Jay McGowan on Saturday, August 5. 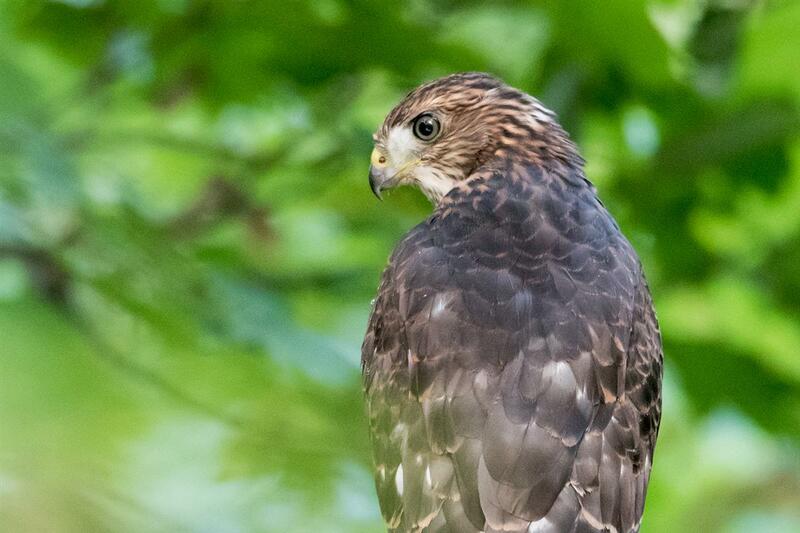 Young Cooper's Hawk - one of two siblings at Woodlawn. This Herring Gull repeatedly picked a stick out of the water, dropped it, dove for it, and then did it all over again for quite awhile. 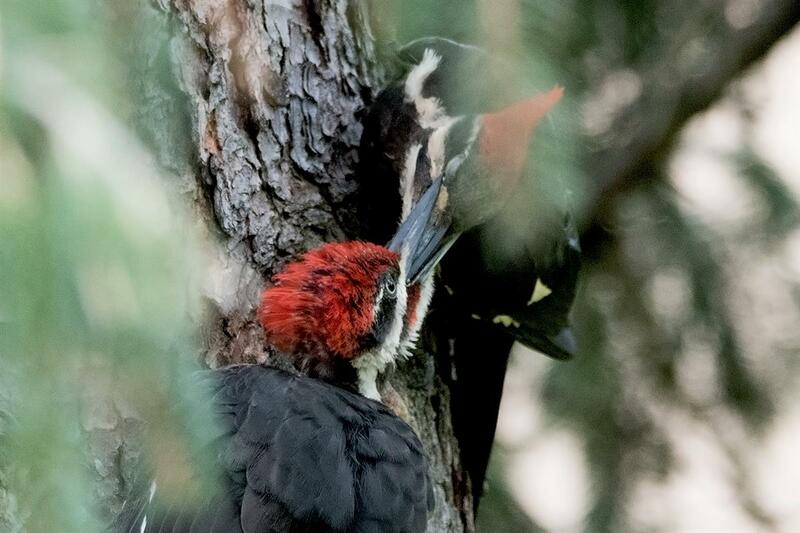 A young male Pileated Woodpecker being fed suet by his mom at our home in Orchard Park. 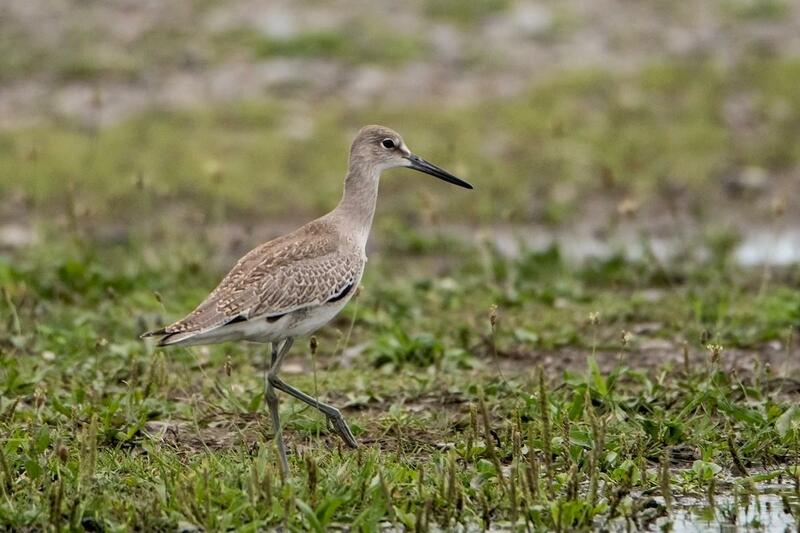 Willet found/photographed by Sue Barth on August 12 at the Seaway Slip at the Buffalo Outer Harbor. 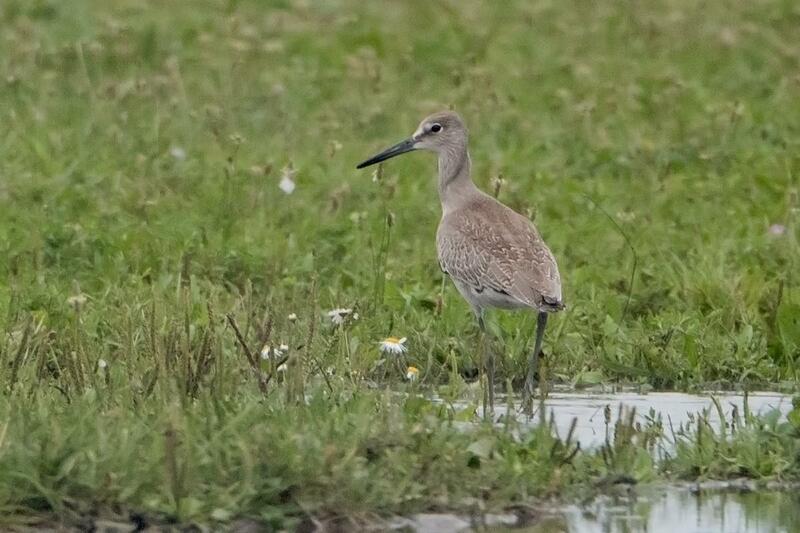 Western Willet at the Seaway Slip on the 12th by Sue Barth. This open grassy area is a good spot to look for shorebirds, especially after rain/storms. Get there early before the dog walkers! 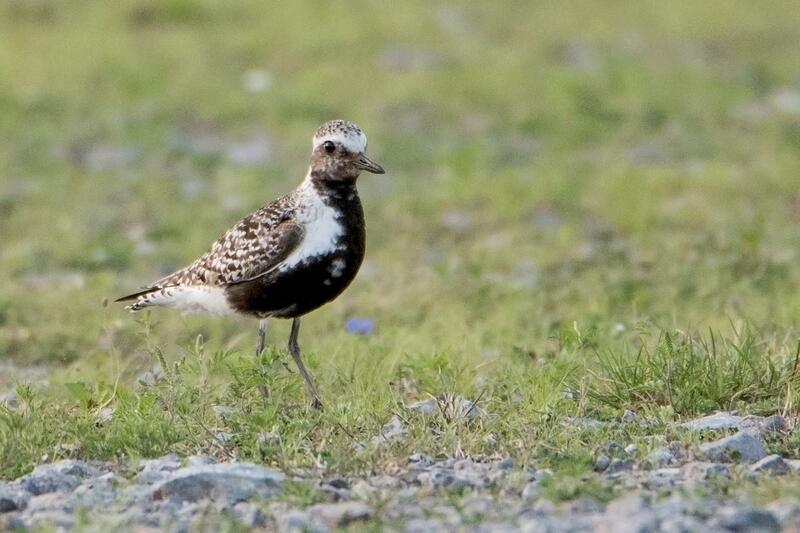 Two days after the Willet, Sue Barth found this stunning Black-bellied Plover at the Seaway Slip. It stayed about 20 minutes before continuing on its journey south. 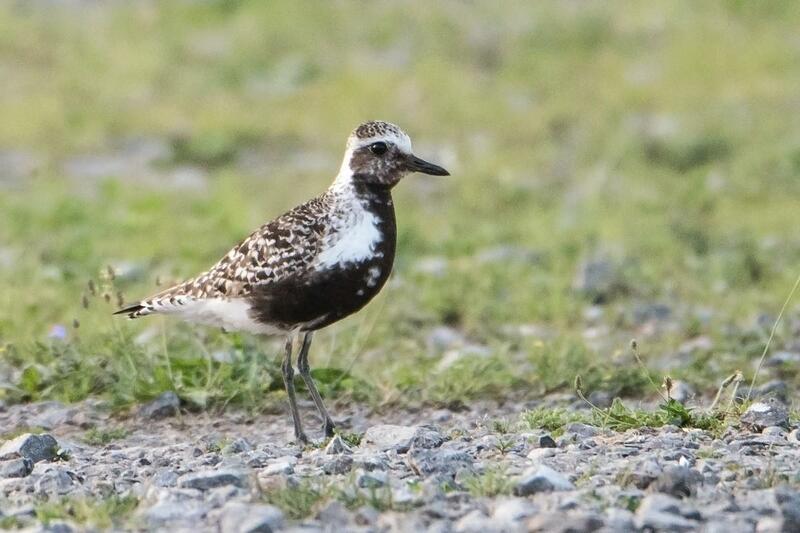 Another cracking image of the Black-bellied Plover by Sue Barth who found this bird on the 14th at the Buffalo Outer Harbor. 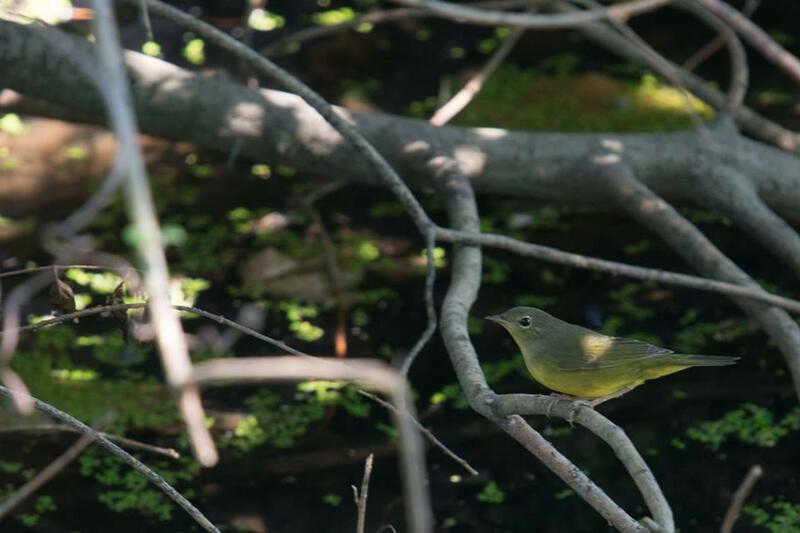 Female Mourning Warbler along the ridge at Forest Lawn Cemetery in Buffalo on the 14th. Found and photographed by Sakura Sealcat. 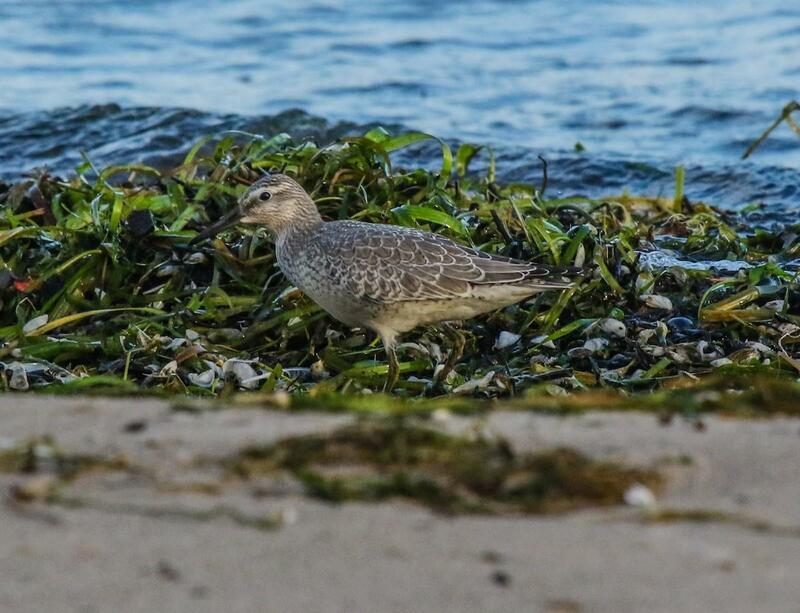 Gale VerHague found this juvenile Red Knot on the beach at Dunkirk Harbor on the 23rd. 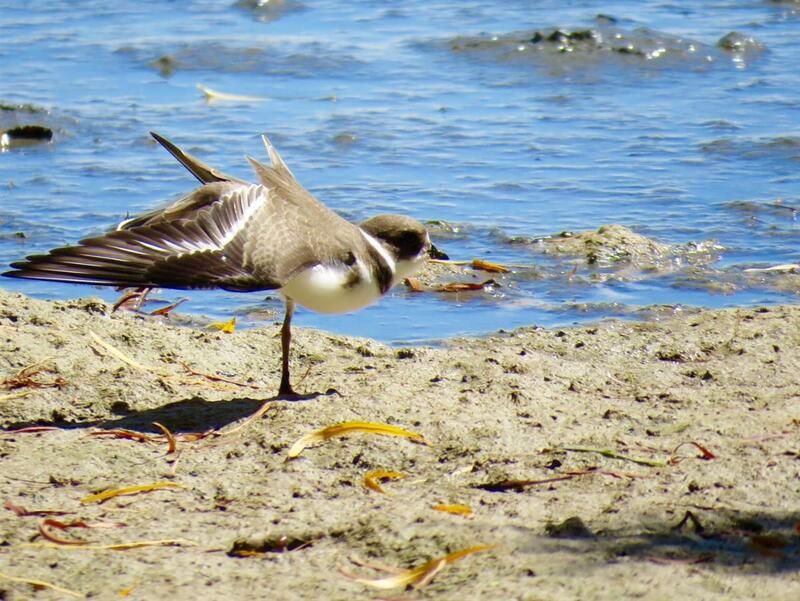 To its left is a Sanderling. 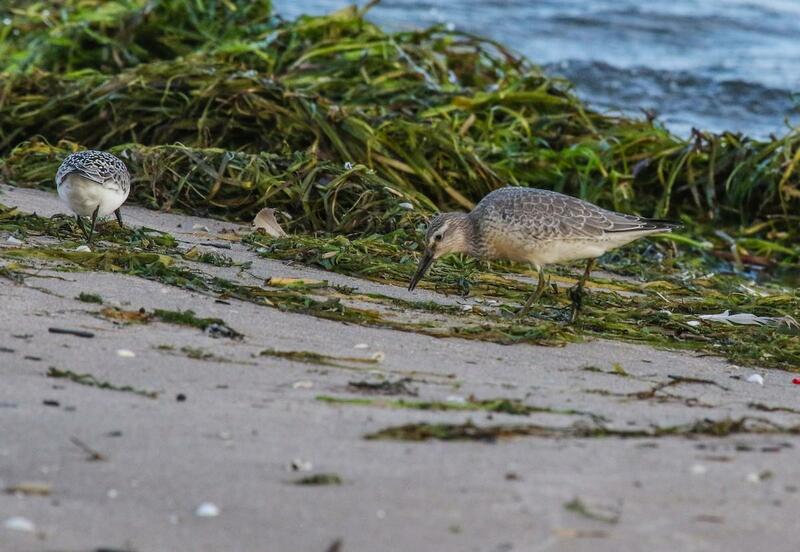 Juvenile Red Knot on the beach at Dunkirk Harbor, Chautaqua County. 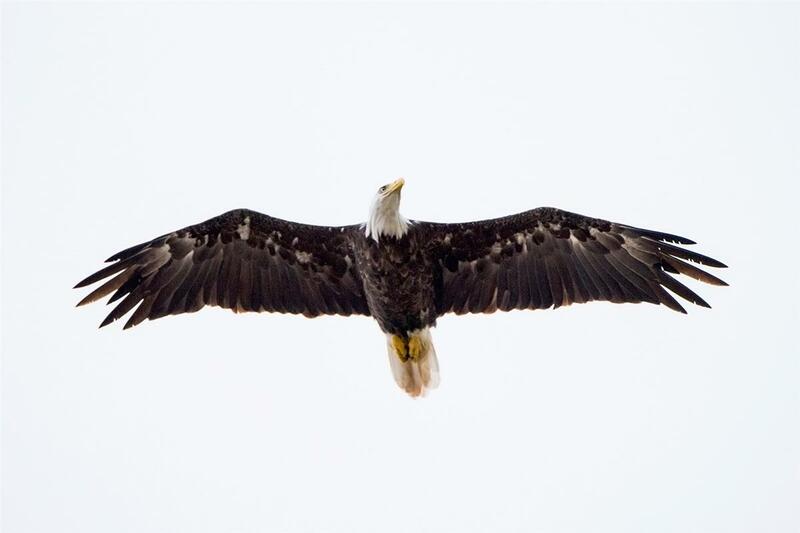 Gale VerHague found and photographed this individual on the 23rd after a strong cold front cleared the region yesterday. 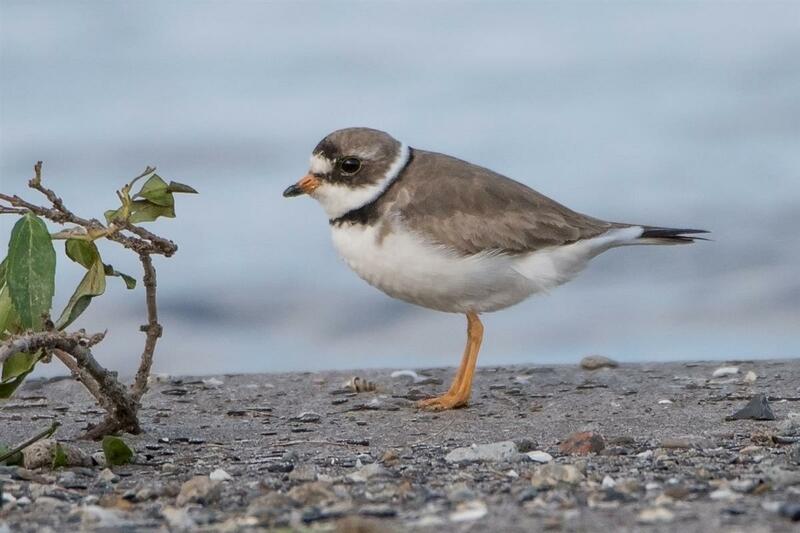 This juvenile Semipalmated Plover was captured in a wing-stretch at the foot of Buffalo Road in Fort Erie, Ontario on the 18th. 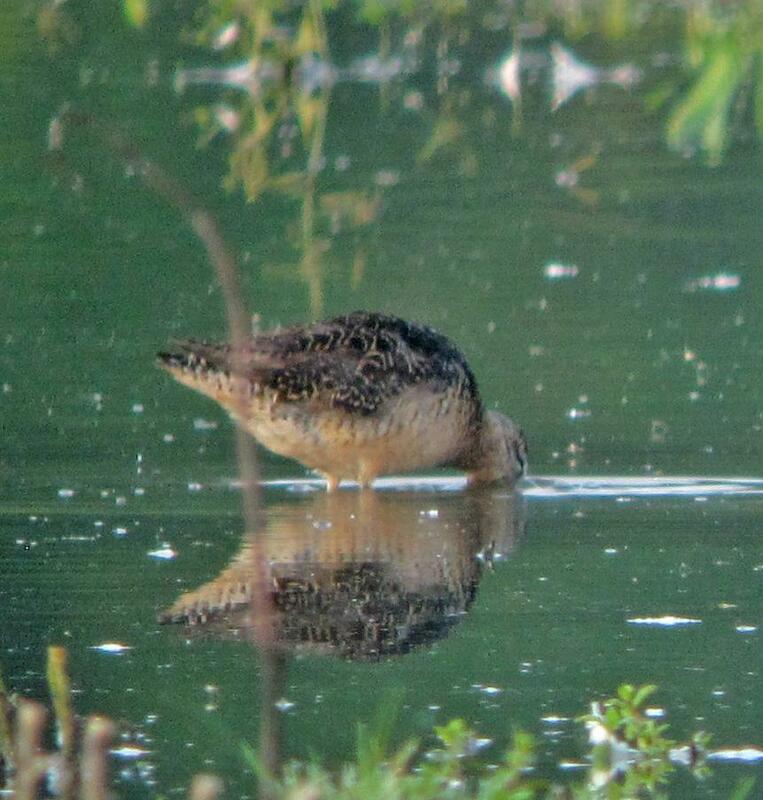 Long-billed Dowitcher, Ellicott Rd, Hartland, Aug 16. Note very dark back with white edging, reduced markings below due to molt and wear but with some short bars retained on sides of upper breast, and narrow white bars on tail. 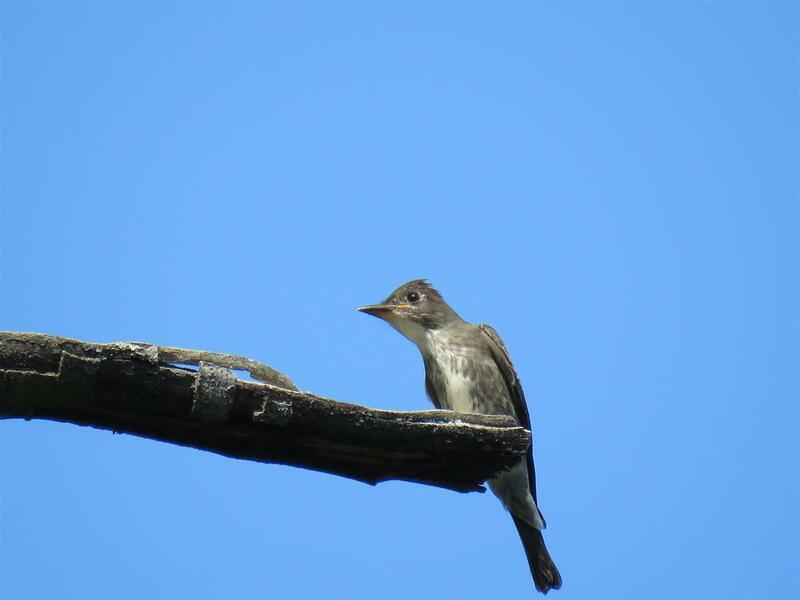 Eastern Wood-Pewee feeding a juvenile Brown-headed Cowbird, Fort Niagara SP, Aug 14. 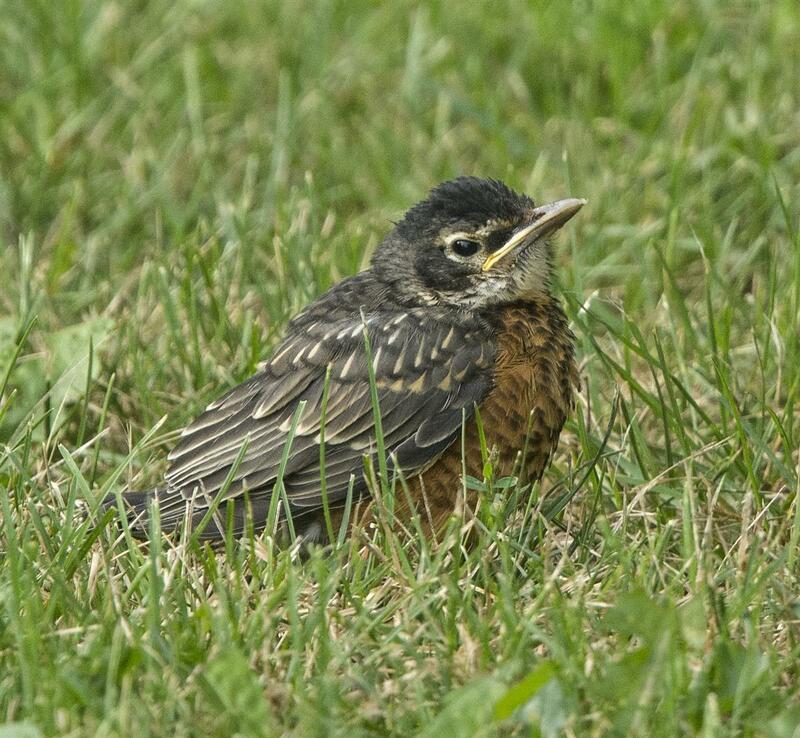 Juvenile American Robin, Fort Niagara SP, Aug 14. Third brood, perhaps. 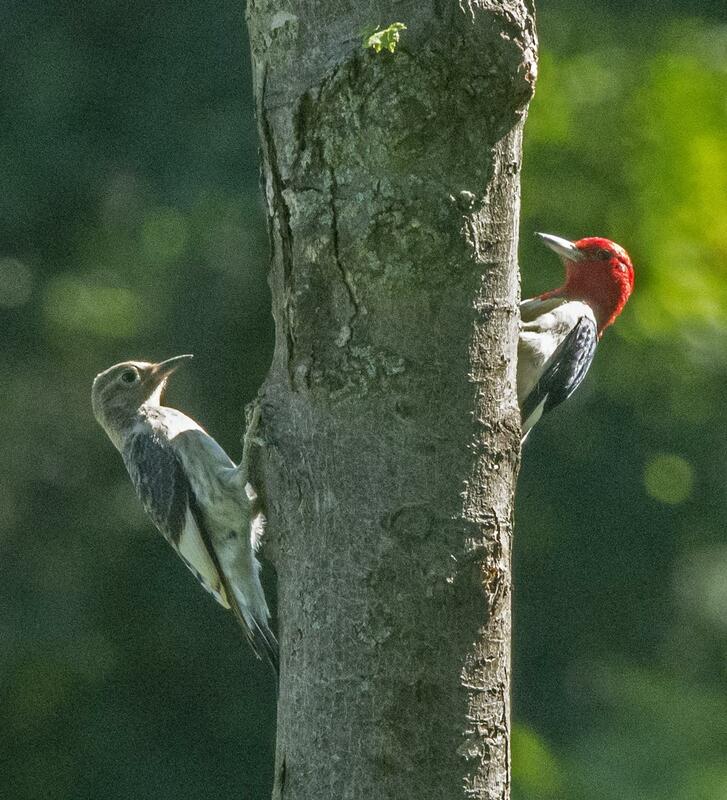 Red-headed Woodpecker, Fort Niagara SP, Aug 13. 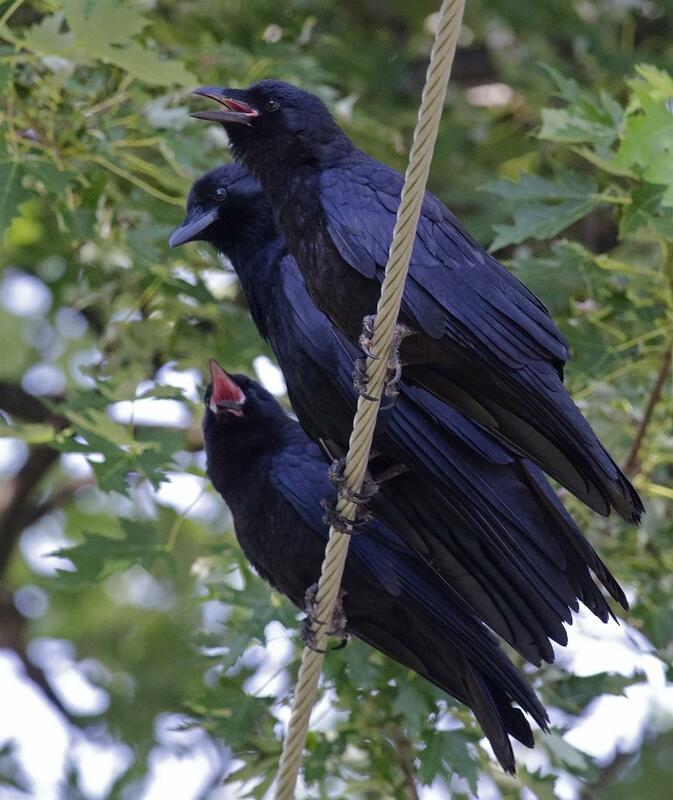 Adult and juvenile. 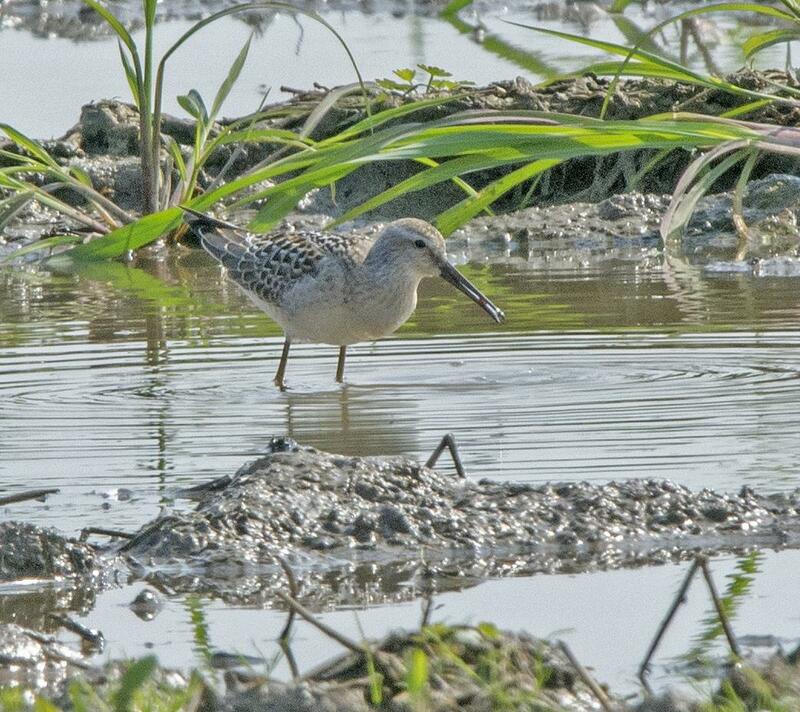 Juvenile Stilt Sandpiper, Porter-Center Rd, Porter, Aug 12. 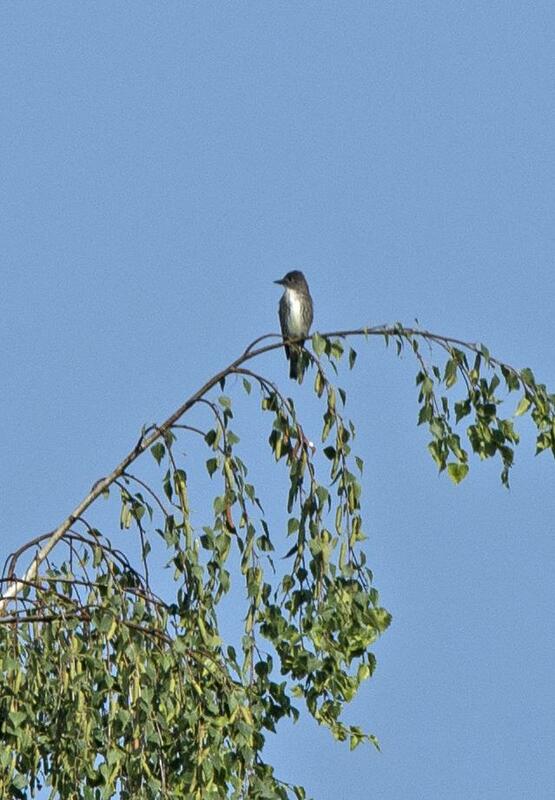 Olive-sided Flycatcher, Lower Lake Rd, Somerset, Aug 9. Juvenile Wilson's Phalarope, Ellicott Rd, Hartland, Aug 2. 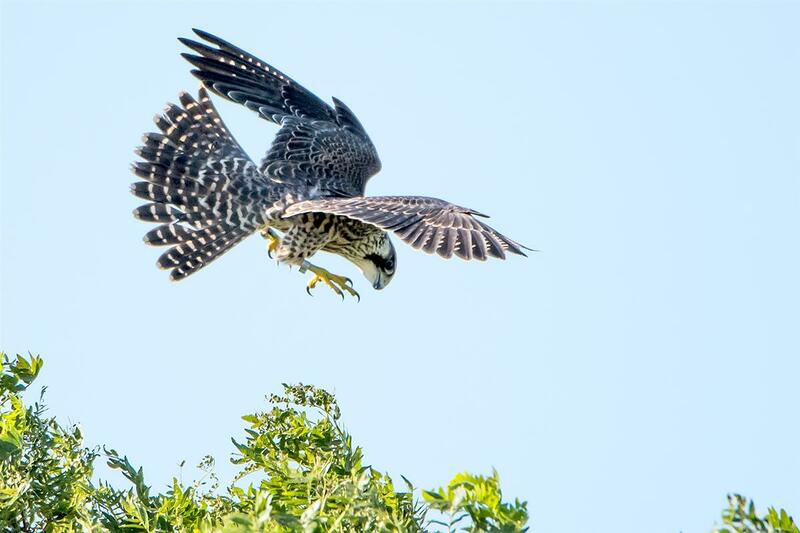 Peregrine Falcon: it zoomed past me in a vain attempt to catch a young Brown-headed Cowbird at the Buffalo waterfront. On the 27th TWO Olive-sided Flycatchers entertained birders at Forest Lawn Cemetery in Buffalo. 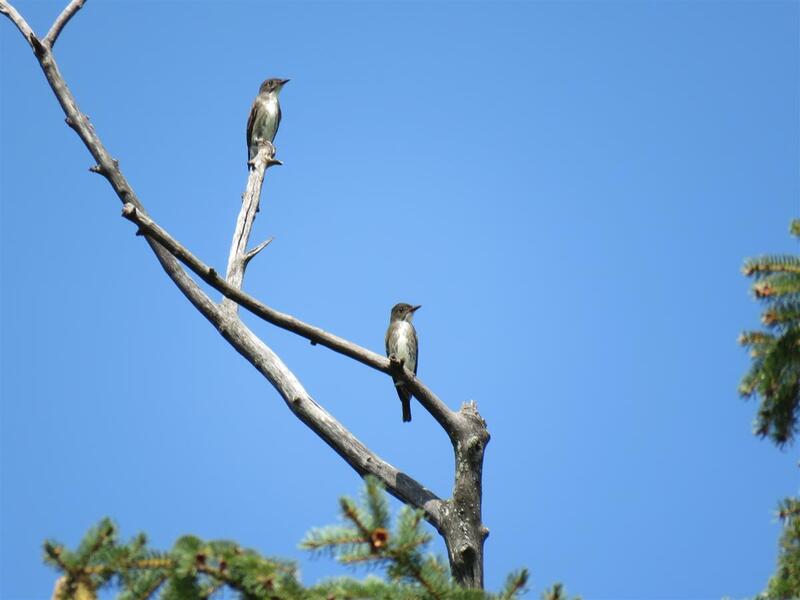 On the 27th, two Olive-sided Flycatchers entertained from the tree tops between Warbler Ridge and Mirror Lake at Forest Lawn Cemetery. Frequently, the two would sit very close to each other. 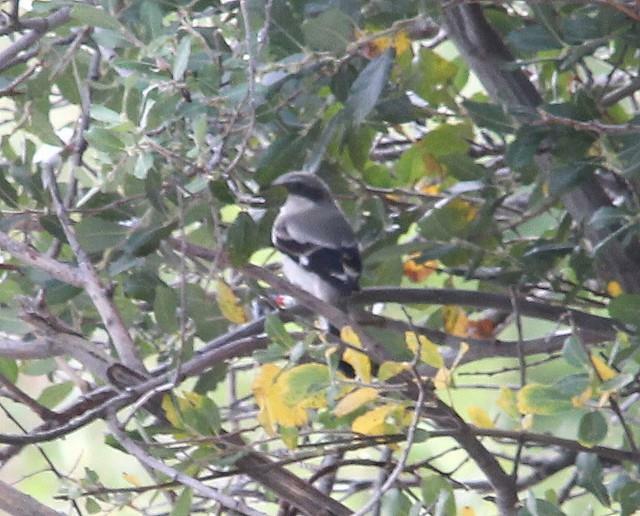 Another photo of the Times Beach Loggerhead Shrike by Becky Harbison on the 31st. This individual is likely part of the very small remaining population that breeds on the Carden Alvar north of Toronto. 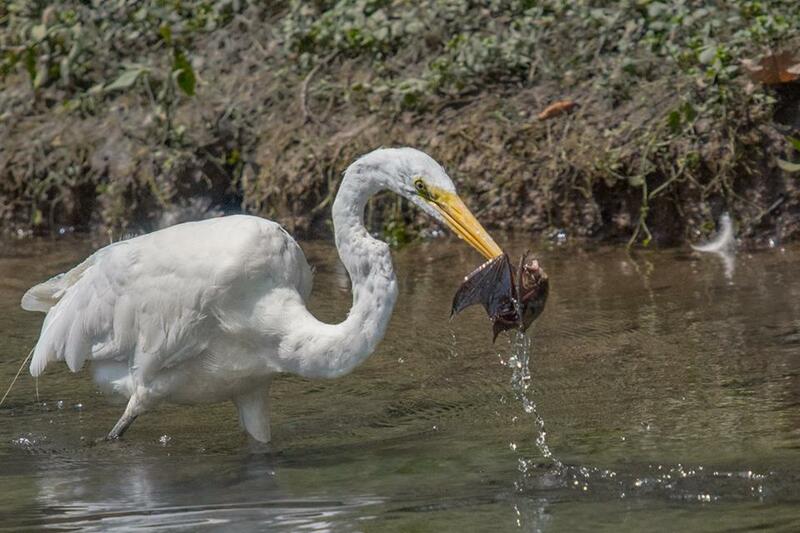 Sakura Sealcat photographed this Great Egret with its mammalian prey, a bat, at Forest Lawn Cemetery in Buffalo. 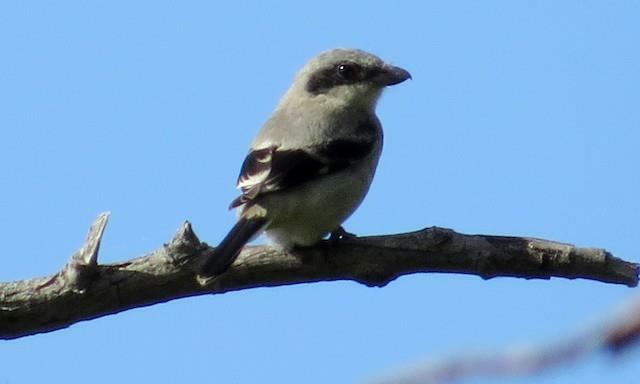 An incredible find by Shelley Seidman on the 31st at Times Beach was this Loggerhead Shrike. It has been decades since this species has occurred in the Buffalo area. 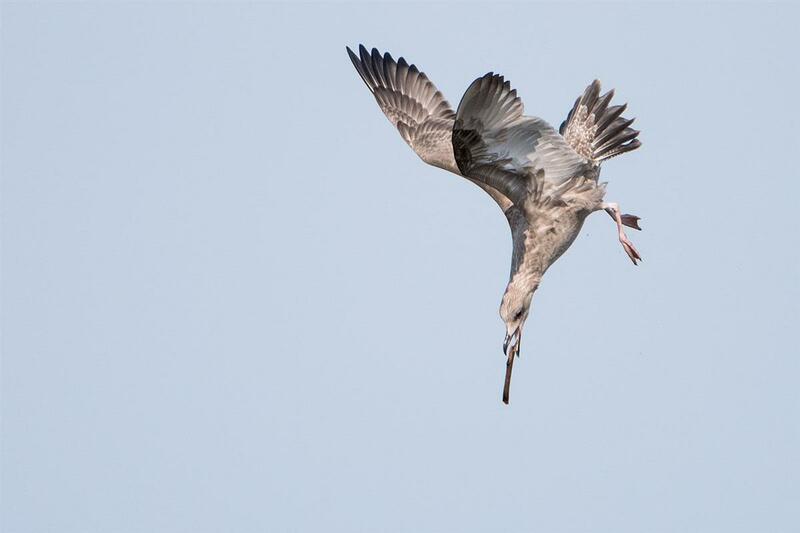 Color bands indicate this bird is likely part of the breeding population in Ontario.